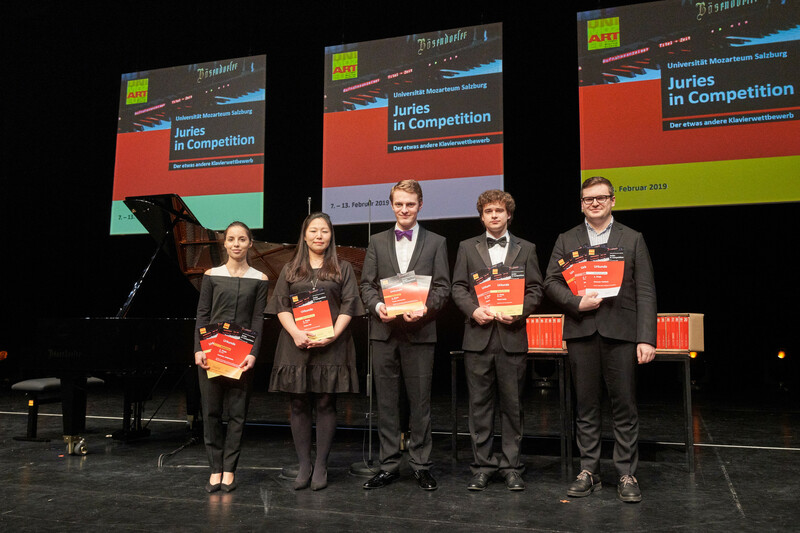 The world premiere of the Juries in Competition piano competition took place at the Mozarteum University in Salzburg. 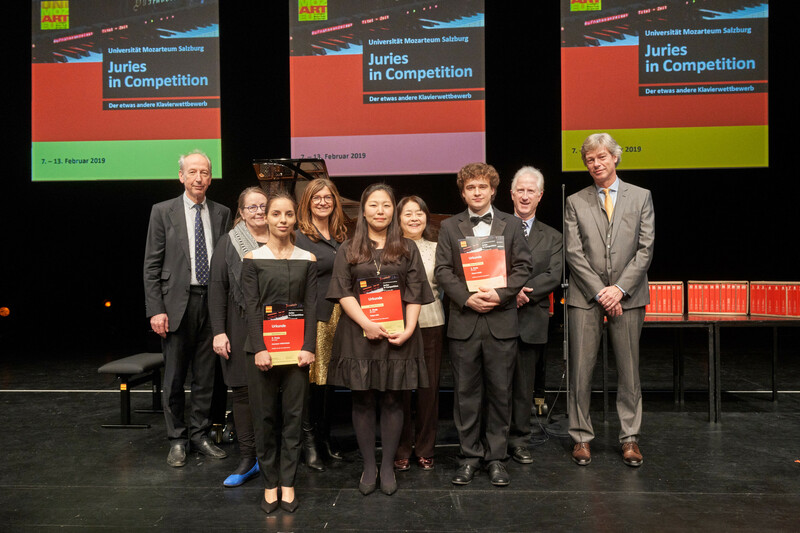 Between February 5 and 14, four juries delivered their verdicts—three expert juries composed of accomplished people in the piano world, complemented by an audience jury. 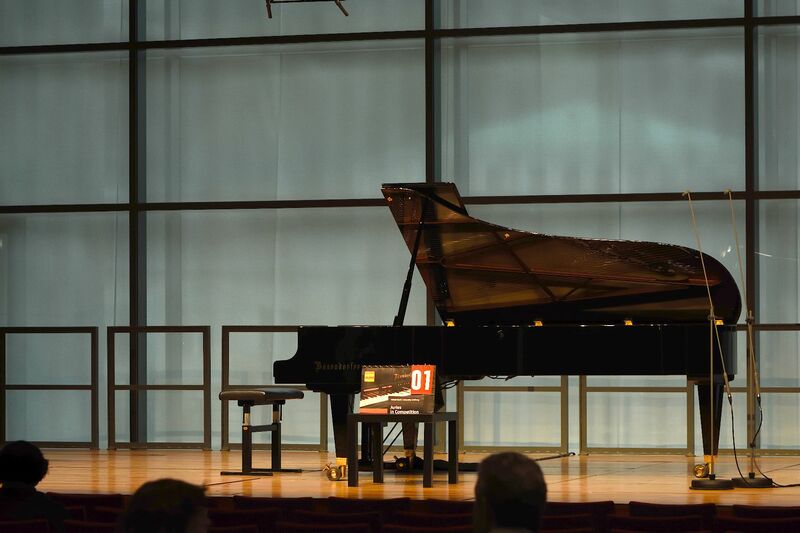 What made this competition a world premiere was the Bösendorfer piano company’s contribution in the form of two Bösendorfer model 280VC concert grands outfitted with the revolutionary Disklavier Enspire Pro System. 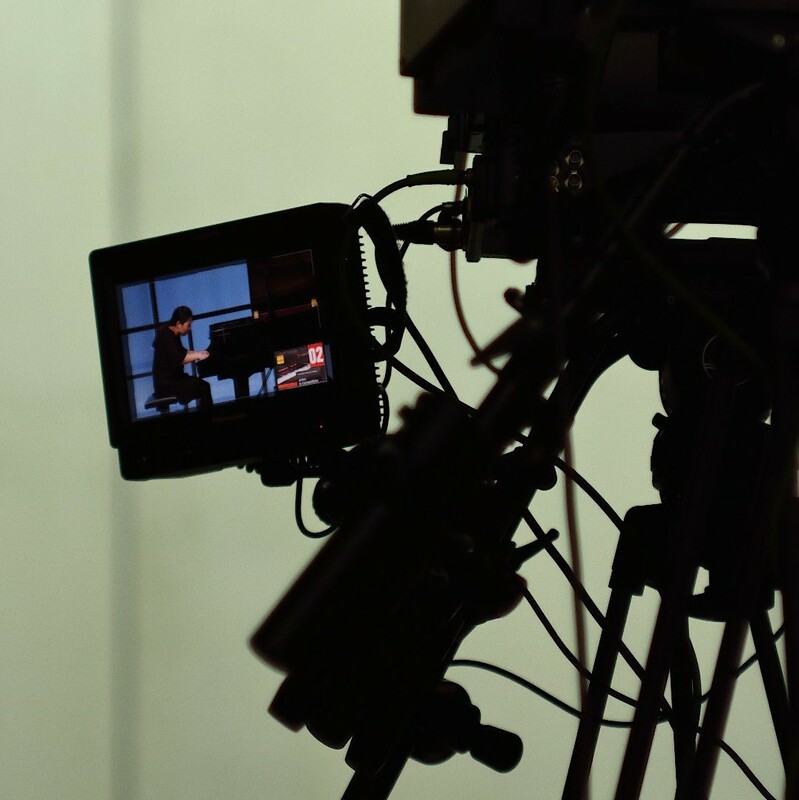 This system makes it possible to connect two grand pianos with one another over wireless LAN and reproduce the playing of one participant on the first piano identically on the second piano in real time. While the participants performed in front of two juries in the Solitaire Hall of Mozarteum, the jury members in the Viennese Hall concentrated exclusively on what they heard—quite a unique challenge. 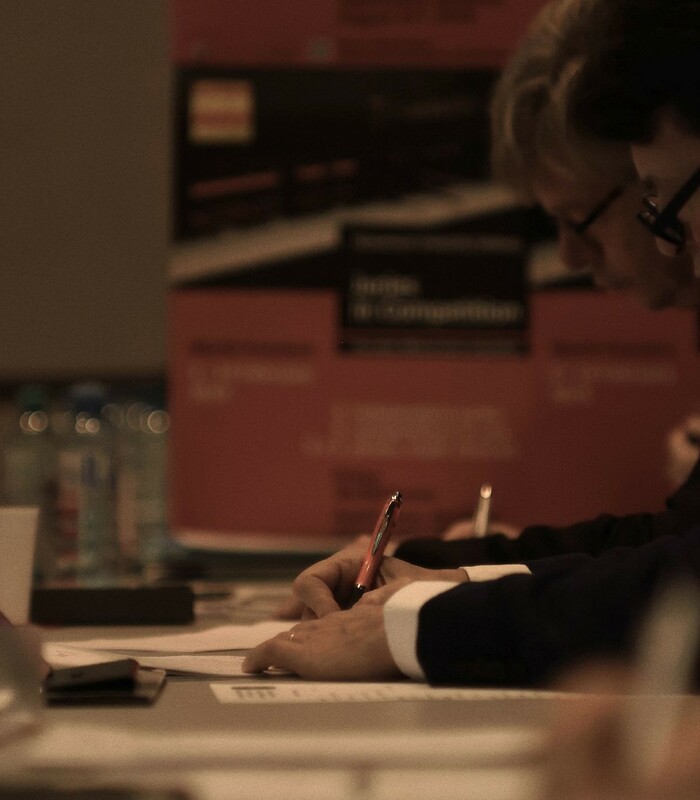 The results of the rating are evaluated in detail and later published during a small symposium. This should reveal in detail how the juries’ decisions were made. In the end, seven of around sixty participants made it to the finale. The bulk of the audience listened to the young pianists playing live in Solitaire Hall. 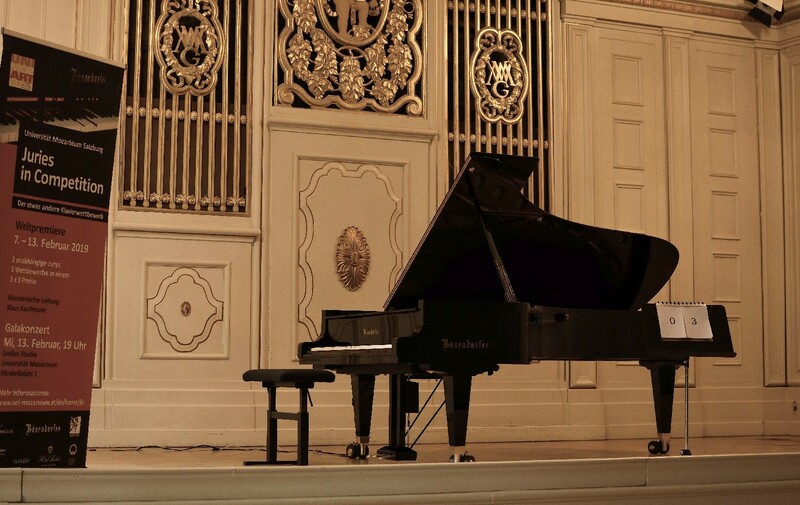 The Viennese Hall, where the Bösendorfer grand stood all by itself onstage, was visited rather sparingly. Even more interesting was the atmosphere for visitors who decided to follow the competition in this manner. On the day of the finale, there were mostly no more than five listeners in the Viennese Hall, four of whom were members of the Bösendorfer jury. The evaluation of the jury was in yes / no procedure. In the Solitaire Hall (photo left), the participants personally played in front of the jury on the first 280VC Enspire, while the jury in the Wiener Saal (photo right) focused exclusively on the sound that was produced in real time on the second 280VC at Mozarteum. Of course, the procedure was also a novelty for the participants. To play in virtually two places at the same time is surely not an everyday experience. The Disklavier Enspire Pro is already an incomparable technological achievement by itself, though it was naturally also very interesting to find out how the individual participants perceived their playing. “Today I played on a Bösendorfer grand with Disklavier Enspire Pro for the first time and there’s truly no difference playing it compared to a purely acoustic piano. I played on another brand's piano with recoding system, but it hardly compares to the Bösendorfer. The Bösendorfer allows for pretty much infinite possibilities,” Sergey Belyavskiy, who won first prize from two of the juries, remarked. The experts all agreed that there probably won’t be any competitions or exam situations in the future in which the participants are concealed from the jury, although it could end up complementing current prevalent practice. 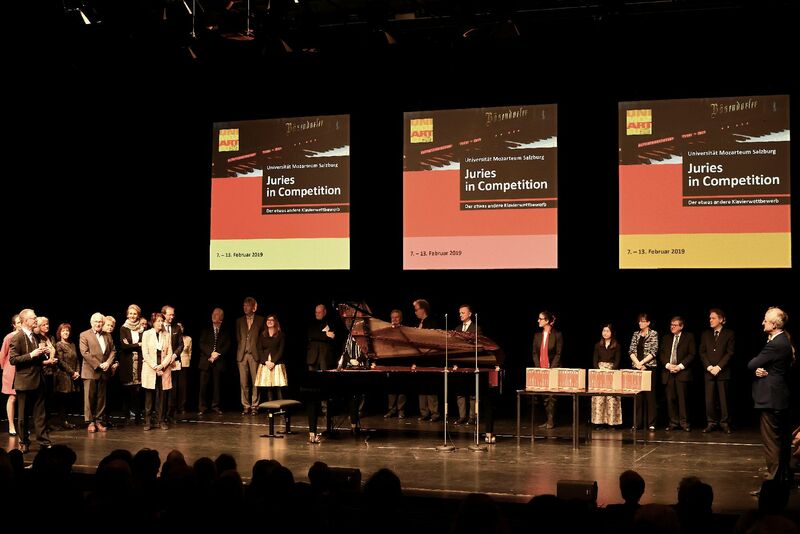 At the end of the competition were a gala concert and awards ceremony, which were received enthusiastically by the outstanding participants, jury members and audience alike. A special highlight was an old piano roll recording of a Mozart sonata for four hands from the 1920s that was adapted for the Disklavier Enspire Pro system. Experiencing the playing of people after a hundred years whose names as well as playing have outlived them was deeply moving to all those present. Ultimately, that’s precisely what makes music a unique art form—the experience—no matter how it comes into being.